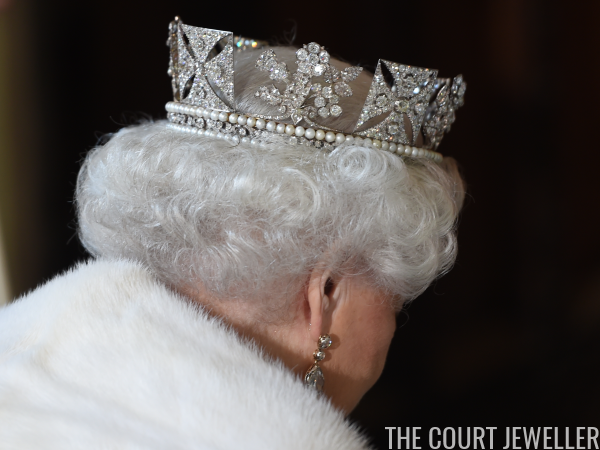 One of the most important historical jewels in the British royal vaults, the Diamond Diadem made for King George IV makes one significant outing each year. In the meantime, I've got some excellent views of the piece for you today, so you can enjoy its sparkle up close! 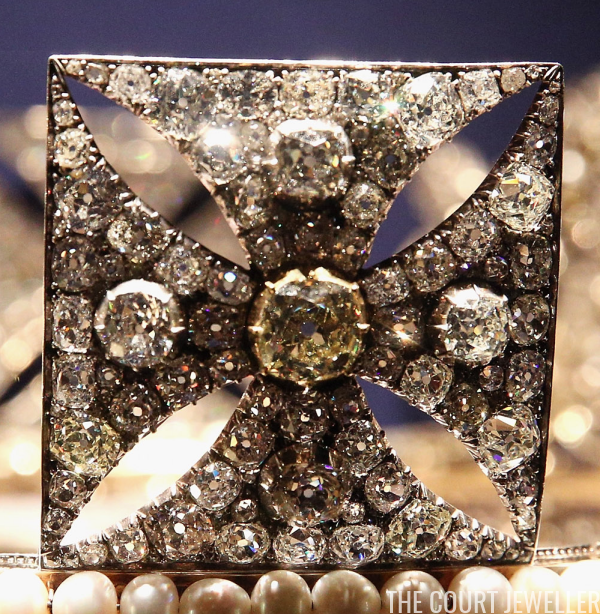 Here's an excellent look at the diadem's central cross pattée, which features a pale yellow diamond set in its center. The crosses on the diadem alternate with elements made of a lovely floral design. These floral sections feature important national emblems from across the United Kingdom. Here you can see the individual floral elements a bit better. You'll be able to pick out roses, shamrocks, thistles in the design -- emblems of England, Northern Ireland, and Scotland. 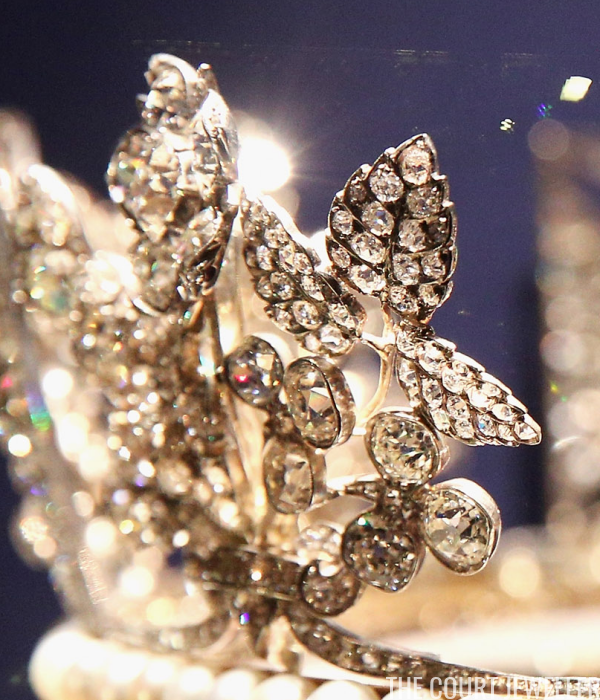 Here you get a close-up view of the diamond settings of the shamrocks and leaves in the floral elements of the diadem. 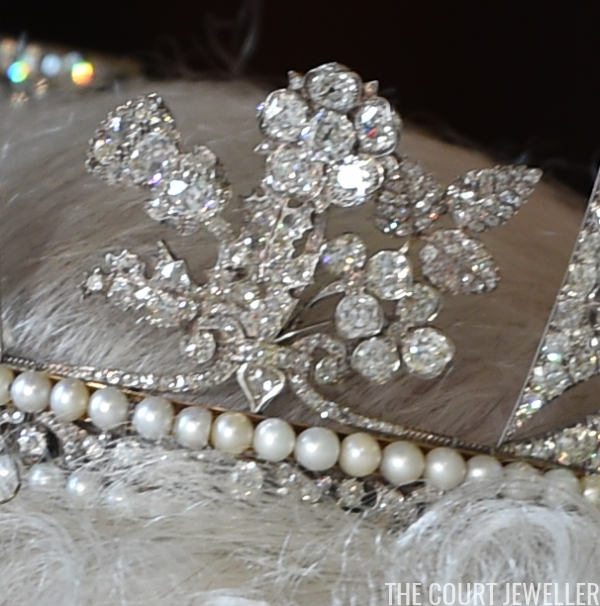 From above, it's clear that the piece is a complete circlet, much more like a crown than a traditional tiara. 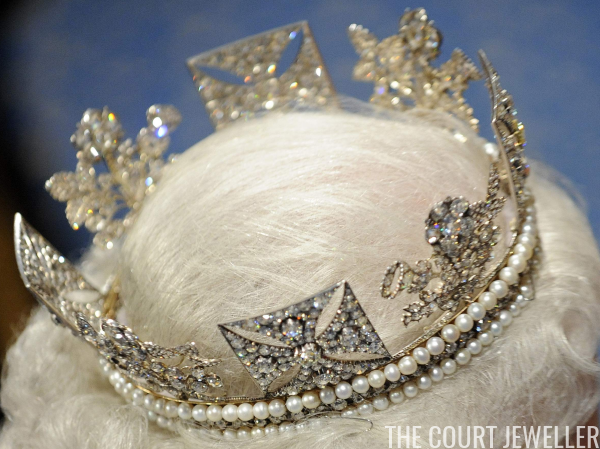 Here's a closer view of the natural pearls that line the base of the diadem, as well as the intricate design in diamonds sandwiched between them. 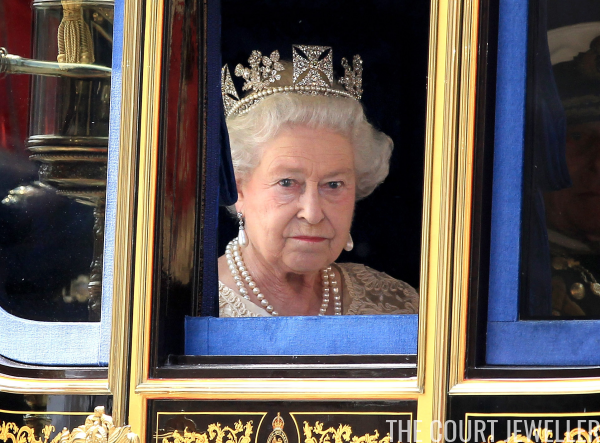 The diadem has gone on display to the public at Buckingham Palace more than once. 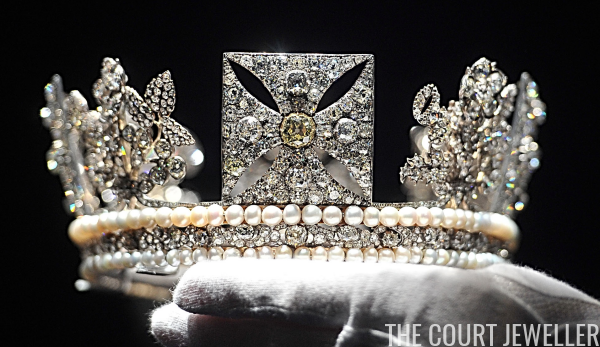 It had a prominent position in the Diamond Jubilee exhibition held in 2012. But it's most often seen on the Queen herself, heading to and from the annual State Opening of Parliament ceremonies at the Houses of Parliament.